So this is for Simon Says Stamp Wednesday Challenge Back to School. 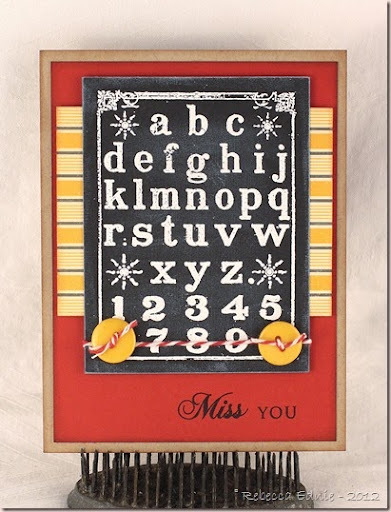 And for Card Maker Blog’s Card Corner Challenge: Chalkboard. I thought I could enter this week’s Fusion challenge too but apparently I was thinking of last week’s. Bummer. Very CAS (for me anyway) but it suited the papers, sketch and my kiddo. He’d just rip off fancy bellies and play with them anyway!